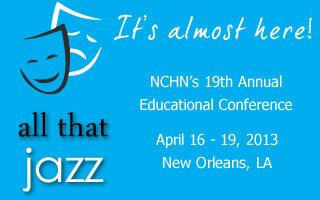 The NCHN Conference starts in just 2 weeks! If you plan to attend, register as soon as possible. A lodging scholarship for a first-time attendee is announced below! If you missed the NCHN Informational Call on the FCC Health Connect Program and NRHA Update, it is available for reply until April 25, 2013. The access # is 866-455-0584. The April Coffee/Tea Chat with Dr. Chess has been cancelled. Details for the next chats will be sent out via email and included in the newsletter. RWHC's Leadership Insights: "Culture Rules"
The best leaders confirm that culture matters, and many even say it trumps strategy. But how do you get your arms around making an impact as an individual on this vague thing called culture? Dr. Gilfillan envisioned a new kind of health care, enrolled others to help him, and engaged them to make his vision of better care, better health, and lower costs a reality. For this feature, we interviewed Carolyn Bruce, Executive Director of Western Healthcare Alliance in Grand Junction, Colorado. In 2011, Carolyn was recognized as NCHN's Outstanding Network Leader of the Year. Under her leadership, WHA has grown to become a profitable, multi-million dollar network with four separate limited liability companies and a staff of over 75 employees. WHA is comprised of 26 full members and 39 affiliate members. WHA is a founding member of NCHN and an excellent model of a successful network. Walking the Talk: What’s A Leader to do? Today’s leaders are aware of the impact the declining health status of their members is having on their organizations. Most leaders understand that a well-conceived initiative to improve the health of their members will deliver multiple organizational benefits that go far beyond cost savings. Yet, for many organizations, implementing such an initiative remains a “back burner” issue. To elect directors, pursuant to action of the Board of Directors on March 25, 2013 to continue the number of directors for 2013-2014 at nine (9) with the election of four (4) directors in Class C to serve until the 2016 Annual Meeting of Voting Members; and to transact such other business as may properly come before the meeting and any adjournments thereof. Thanks to the generosity of the Omni Royal Orleans hotel, a first-time conference attendee is receiving a certificate for two nights lodging and dinner to be used during the conference. Cassalyn David, Director of Santa Cruz County Adolescent Wellness Network, has been selected as the winner of the scholarship. "This is an exciting and crucial point in my network's development. SCCAWN is approaching its critical last year of HRSA Network Development Grant funding and our sustainability planning process is well under way. The 2013 NCHN Annual Educational Conference will be an opportunity for me to gain more in-depth knowledge and skills around evaluation, sustainability, communications, board engagement, and more. I value the connections I made at the September Leadership Summit, including participation in the BULLS program, and know it is essential at this point in my career and my network's development that I continue to forge meaningful connections with my colleagues." "I look forward to sharing my research and experience with participants and learning from their input in my presentation on Crafting Value Propositions for Vertical Networks. This is an important piece of sustainability and I value the expertise of other vertical network leaders. In the coming year I plan to enhance my network's communications, outreach, board development, and sustainability, and the support, information, and skills I gain from the NCHN Conference will be essential in these and other initiatives." HCC of Rural Missouri: HCC Bord Member Suzanne Gladney Featured on KCPT's "Makers"